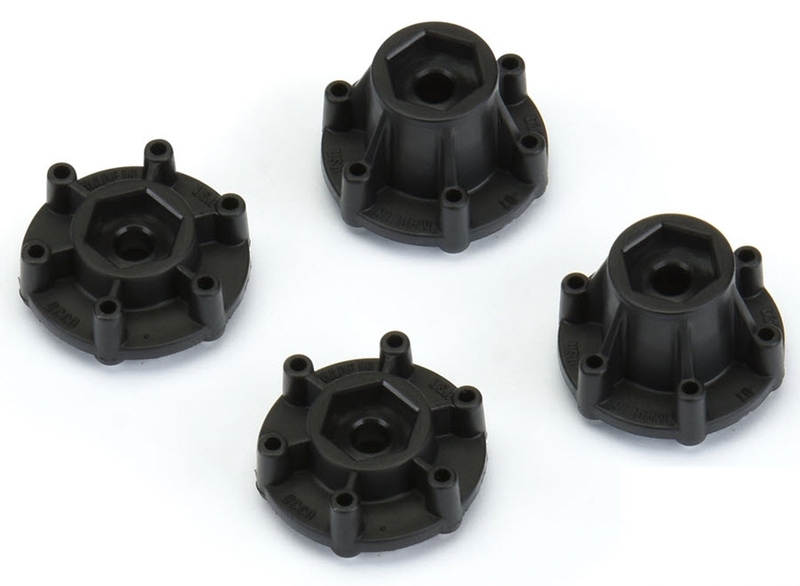 Pro-Line 6x30 to 12mm Hex Adapters are replacement Hex Adapters for Pro-Line Raid Removable Hex Wheels. This pack contains a pair of Narrow 12mm Hexes (2wd Stampede/Rustler Rear) and a pair of Wide 12mm Hexes (2wd Stampede/Rustler Front and 4x4 Stampede/Rustler Front and Rear) for your 6x30 2.8” wheels. These hexes are made from High-strength, Durable DuPont Black Nylon Material and are built to take a beating. These Hex Adapters are proudly Made in the USA.